I’m sitting here atPanera Bread on a Monday morning totally awestruck by an amazing God. I know I say it often but I can not help nor will I stop, I feel like I am living in a Bible story. One of the troubles that the children of Israel had is that they stopped rehearsing the good deeds of God and a generation grew up that neither knew the LORD nor his good deeds. I will not have that happen in the city God has called me to! I am going to keep telling my story, re-living my story, and sharing my story with everyone who will listen. It is so funny as I was sitting here typing this blog another pastor from here in the city came up and we began talking I ended up sharing how City on a Hill Church got started. Too funny! I titled this Trust and Obey For There’s No Other Way for a reason. This has been my walk for the past 16 months. Trusting in God and obeying whatever He has asked me too do. His hand of provision, protection, and blessing has rested heavily upon my life and our church. Yesterday was no different. Every so often I get what I call “God winks” as heart checks making sure I remember it is God who is in control. My Trustee Board had made a request of me last year that I take one Sunday off in June and one in July after our first year anniversary. I am thankful for a group of people who care enough about me to be sure that I am not going to burn out. After much prayer I connected with Marc Mero and Champion of Choices. We decided to do a citywide outreach as a grace gift to the city bringing Marc in to tell his story of triumph, tragedy, and God’s amazing grace. We also decided to make it a big deal with a FREE Family Fun Day afterwards. The stage was set for a great event. Sunday morning I wake up to the sound of thunder. I open my front door to check the weather and it wasn’t raining I thought, “Awesome!” Just then I turned my eyes to the north and saw the darkest clouds we have seen in a long while. Within thirty minutes there was driving rain, thunder, flashes of lightning, and to be brutally honest I was totally deflated. I went to McDonalds for a lite breakfast and some devotional time. During my devotional time I wrote in my journal, “Father you control the winds and the rain. I trust in You! Holy Spirit call and drawl according to Your purposes. We need a miracle but Your will be done. Our hope is You! I will lead as You lead me O God.” My trust was and is firmly founded in Christ. I had been obedient to pray and seek God concerning June 26, 2011. I followed the leading of the Holy Spirit to invite Marc and his team. We invested time, talent, and treasure to reach the lost, bring home the wanderers, make disciples, and send missionaries. The rest was up to God. I closed my devotional and headed to the church. Remember I said, “Trust and Obey for there’s no other way?” Well what happened? God! 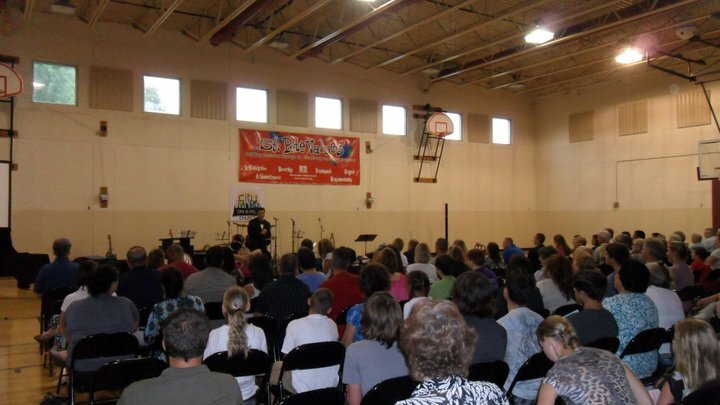 In the middle of summer when most churches experience a heavy slump in attendance we had record breaking attendance of 410 people to the glory of God! Our average attendance is 240 what a miracle. There was a lady there who shared that she tried to kill herself but the gun jammed. She came Sunday and gave her heart to Jesus! Glory to God! Trust and obey! 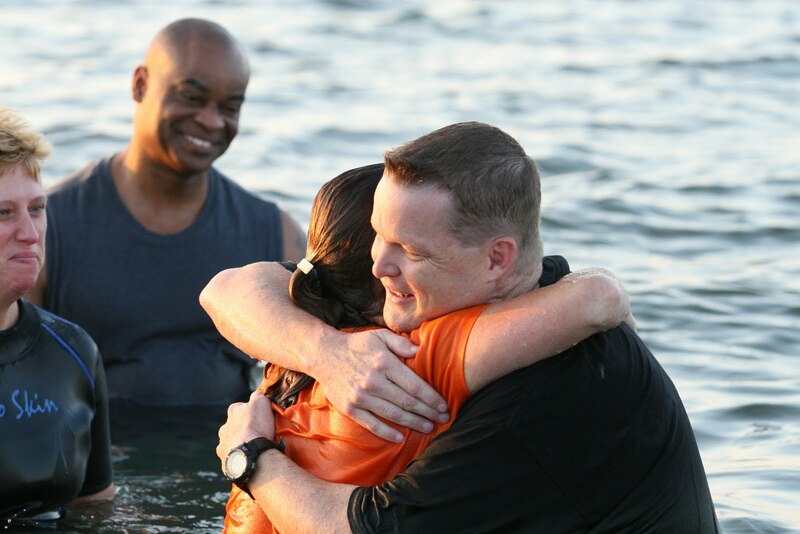 We saw countless people rededicate their lives to Christ. A homeless gentleman named Paul came during the rain and asked for a cup of coffee. He decided to stay for the service. He stayed for lunch and afterwards I spoke with him. He told me, “Pastor I have been a lot of places especially churches and felt unwelcome and unwanted. I came here today and you and these people have been so kind to me.” He continued with tears in his eyes, “Today for the first time in a long time I felt welcomed.” I had a pull over sweater with me and felt compelled to offer it to him. I said, “Hey Paul would this help you?” He looked at me and broke down crying saying, ‘ “You don’t know how much.” Trust and obey for there’s no other way. We shook hands and I invited him back to Men’s group Wednesday night. All of this and many more miracles took place yesterday. Why? Because we were willing to trust and obey. Listen just because the circumstances are not ideal doesn’t mean God can’t or won’t work. God works in all circumstances nothing can interrupt His plan, purpose, and will. Our job is to trust and obey. Yesterday was just another “God wink” for me checking in to be sure that my faith, hope, and trust is in God not man or ideal circumstances. The greater the challenge the greater glory God receives. Yesterday’s record breaking attendance is awesome, however, it is even more awesome when you factor in the middle of summer and the severe storms. I’m glad God doesn’t pay attention to church growth expert’s statistics or weather reports! My prayer and hope is that we won’t either, instead we will learn to trust and obey for there’s no other way. Be encouraged! What is my ultimate motivation? What caused me to leverage everything in life? Why did I plant City on a Hill Church? Why do I preach the Gospel of Jesus Christ everyday and twice on Sundays? What is at stake? The answer to all these questions is simple and yet profound. Lost people matter to God, if they matter to God than they matter to me. I once was lost but now I’m found and it is my spiritual act of worship and my divine calling to see lost people found and wanderers to brought back home. I pray that this simple yet profound answer never becomes common. I pray that I never get so self-absorbed as a Christ follower and so full of religion that I forget lost people matter to God. I pray I never get so focused on building a church that I forget lost people matter to God. I pray I never forget what God saved me from, the second death and eternal separation from God. I pray I never forget that the only way to heaven is through faith in Jesus Christ alone. I pray I never forget that today in my city people will die and enter into a Christ-less eternity. I pray I never forget everyone does not go to heaven only those who have believed in God’s one and only Son. I pray I never forget that broad is the road and wide is the path that leads to destruction. I pray I never forget my mission is to be sure that no matter what city, country, town, or province God has called me to my job is to make sure everyone in that area has a chance to accept or reject Jesus Christ. I pray I never forget what ultimately is at stake is the souls of men and women. Revelation 20:11-15 [ESV] 11Then I saw a great white throne and him who was seated on it. From his presence earth and sky fled away, and no place was found for them. 12And I saw the dead, great and small, standing before the throne, and books were opened. Then another book was opened, which is the book of life. And the dead were judged by what was written in the books, according to what they had done. 13And the sea gave up the dead who were in it, Death and Hades gave up the dead who were in them, and they were judged, each one of them, according to what they had done. 14Then Death and Hades were thrown into the lake of fire. This is the second death, the lake of fire. 15And if anyone’s name was not found written in the book of life, he was thrown into the lake of fire. This section of scripture is very sobering. Verse 15 motivates me like never before.This could be talking about my friends and family if I am not honest with them and I do not preach the Gospel to them. If we really believe this, I mean really believe this we would be motivate to share the Gospel every day in some way shape or form. If we really honestly believe that people who die without Jesus or rejecting Jesus enter into the second death in the lake of fire we will live differently. We will serve in the local church like heaven and hell life and death depend on our service because they do! We will love like there is no tomorrow because for some there is not. We will invite people to church and the 25 no’s just to get 1 yes wouldn’t phase us one bit because one yes changes eternity. I am trying to guilt people? No way I am trying to help us all see that we carry around the Gospel is jars of clay that are not permanent. I am trying to motivate every person who calls themselves a believer in Jesus to action to love God, love people, and preach Jesus. Why? Because people’s eternal destiny hangs in the balance. Verses 12 and 13 speak of choices that we make to accept or reject the Gospel of Jesus Christ. All of those who reject Jesus make a covenant with death, an agreement with hell, and will be condemned with death and hell and also cast into the lake of fire not receiving eternal life but eternal death according to the rules revealed in the scriptures. There is no other name but the name of Jesus by which men can be saved. The simple truth is that if you have made Jesus Christ the Lord of your life there will be evidence of your salvation as you fulfill Matthew 5:14-16 and let your light shine before men doing good deeds to glorify God in Heaven. Conversely, those whose names are written in the Book of Life are justified and acquitted by the Gospel of Jesus Christ. We are justified and acquitted by faith in Jesus Christ through His work on the cross and resurrection from the dead, and we are promised eternal life, no longer do we fear death, hell, or wicked men; for they will all be destroyed together. The choice is ours. Let it be of greatest concern to see on what terms we stand with our Bibles, whether they justify us or condemn us now; for the Judge of all will move forward according by that rule. Christ will judge the secrets of all men according to the Gospel. So what is at stake? The souls of men and women. How do we escape judgment? We don’t escape judgment rather through faith in Jesus Christ we are justified and acquitted. The cross of Christ is where the justice of God meets the grace of God and objects of wrath become objects of affection. The wrath of God is satisfied and the love of God is poured out on us. The resurrection of Jesus Christ is where Satan, sin, and death are defeated once and for all and we are offered eternal life. If we really believe this we will live differently. Preach differently, teach differently, evangelize differently, serve inside and outside the church differently, we will be relentless in our desire to see that no one enters into a Christ-less eternity. I pray that City on a Hill Church never lose its motivation to see lost people found, wanderers come home, disciples be made, and missionaries be sent. I pray we stay so busy reaching out to our city and world that we don’t have time for infighting, spiritual jockeying, ministry leveraging, and self-righteousness because we are so busy winning the lost and restoring wanderers. I pray we never, ever forget what is at stake. Be encouraged! We are thirteen months into this adventure in church planting. It has been an amazing ride! This amazing ride has definitely come with its share of twists and turns. God’s grace has been more than sufficient for us. I believe that the single most effective tool and the chief objective in the enemy of our soul’s arsenal is to create CONFLICT within us as individuals and within the Church of Jesus Christ. When we are CONFLICTED our focus is shifted from God to us, we are pulled or pushed off mission, and we no longer are engaged in battle with our enemy instead we are enraged and engaged in battle with ourselves and each other. I have seen great churches totally destroyed and rendered totally ineffective because they became CONFLICTED. One of the most powerful ways the enemy promotes CONFLICT is through personal offense. All it takes is one person to allow the enemy to create CONFLICT within them and then focus that CONFLICTED feeling towards another brother or sister in Christ. Be warned my friends CONFLICT blinds us to our own errors. CONFLICT is most often found in self righteousness and the self righteous do not see themselves as self righteous, they just see themselves as right. As the Lead Pastor of City on a Hill Church I have been diligent to call out and handle CONFLICT but it hasn’t kept CONFLICT from rearing its ugly head. I have been in a spiritual battle for the life’s blood of our church. CONFLICT threatens to destroy and disqualify people sending them back into isolation and a life of self imposed solitary confinement. We can not control what has been, is being, or will be said about us we can only control whether it is true or not. Revelations 12:10-11 lets us know that Satan the accuser has been thrown down, however it also lets us know that he hurls accusations at us day and night. He is relentless in his accusations. His desire and goal is to cause us to become CONFLICTED thus getting us off mission stealing glory from God and making sure that lost people stay lost and wanderers never find their way home. Think about with me for a minute if someone is already experiencing a certain level of CONFLICT in their lives from being far from God why in the world would they come to a place filled with CONFLICT? The answer is simple they wouldn’t and they won’t! The Church of Jesus Christ is the hope of the world the only CONFLICT we should be in is a CONFLICT against they enemy of our soul for the souls of men. Now I won’t lie CONFLICT many times leaves me CONFLICTED!! Sometimes I sit back thinking to myself we could be, we should be so much further along in our relationship with Christ. The mission of Christ should burn so passionately within us that CONFLICT can’t exist because it is burned up in the desire to bring glory to God and win souls for Jesus. However, I am reminded that the accuser constantly and consistently hurls accusations day and night without ceasing. The only way to combat CONFLICT is through prayer, fasting, and surrender to the leading of the Holy Spirit of God. As a church planter and chief vision caster for City on a Hill Church I must guard my heart so that it doesn’t get CONFLICTED and I lose my purpose, meaning, and passion dealing with the CONFLICTED. It is my goal and objective to be sure that CONFLICT is dealt with in a timely fashion at COAH. It is also and equally my goal that CONFLICT be resolved at COAH through the reading, studying, and applying of God’s Word. I really don’t have time for silliness, the reality is today in my city, the city God has called me to, people are going to die without Jesus and enter into a Christ-less eternity. My goal is to make it hard to go to hell in St. Petersburg, FL. My goal is to make sure everyone in St.Petersburg, FL gets a chance to accept or reject Jesus Christ. I know that can’t happen if I myself or the precious people of COAH get caught up in CONFLICT. God has given City on a Hill Church to St. Petersburg, FL as a grace gift. God has given each person to City on a Hill Church as a grace gift for the express purpose of building up not tearing down the Church. God has called this group of people to be a light to this city. The greatest weapon I have against CONFLICT is the Gospel. Revelation 12:10-11 teaches us that we conquer and overcome by the Blood of the Lamb and the word of our testimony. We battle CONFLICT with the Gospel of Jesus Christ and by using our story for God’s glory. The Gospel and our testimony remind us that, “It is all about Jesus, it has always been about Jesus, and it will always be about Jesus.” I know that the enemy of our soul wants us to be CONFLICTED and to create CONFLICT to keep us from building, becoming, and being a city within a city reaching our city with the life changing message of Jesus Christ one life at a time. But I read the back of the book and we win! My commitment is to love Jesus more and more, to love people more and more, and to preach Jesus more and more. Love covers over a multitude of sins. My commitment is to make mature disciples committed to dealing with CONFLICT according to the Word of God, people whom as Revelations 12:11 says and loved not their lives even unto death. When we put Jesus first we are so less likely to become or be CONFLICTED. Be encouraged! Entering into the second year of my church planting journey it has been a year laced with Risk and Reward. No one will argue that it takes faith to plant a church. What is faith? It is a strong unshakable belief, confidence and trust in something or someone that is not based on proof or evidence. Faith requires us to take risks. Audacious faith requires audacious action. Through faith we take risks in this life trusting in the Goodness and Greatness of our God. The rewards that we experience by having such faith and through taking such risks build even deeper faith and confidence in God. Church planting is truly a Risk and Reward journey navigated and empowered by the grace of God. For me the risks were truly God-sized and the rewards have been equally unmistakably, undeniably God sized! As a leader I am constantly challenged to be Spirit led. As believers we are constantly being challenged to be Spirit led. Our future success isn’t based upon the number of people we have attending COAH or the amount of money we have in the bank. Our future success is based upon our faith, trust, and confidence that it is all about Jesus it has always been about Jesus and it will always be about Jesus. This simple truth is what called me to take the greatest risk I have ever taken in my life. It is also the same truth that has allowed me to experience the most rewarding year of my life to date. Why do I say to date? Because we are just getting started, we are only one year into this journey and lately God has been dealing with my heart in some pretty incredible ways. He has been making some God sized asks of me and through prayer and counsel with God and key people I am prepared to continue to take God sized risks to see God sized rewards in my life, at City on a Hill Church, and in our city. I love the principle from the story in 1 Samuel 14. Jonathan, Saul’s son, and his armor bearer have slipped away from King Saul’s camp where the Israelites are hiding in caves from the Philistines. The Israelites are outnumbered and fearful. Jonathan, prompted by faith, and his armor bearer go to scope out the enemy. Here is what he says. Jonathan sees they are outnumbered, he sees the strength of their forces and still is willing to take a risk with God. His principle was simple, God’s success isn’t based upon man’s wisdom. If we want to see God sized rewards it is going to require God sized risk so that there is no mistaking that it was God who did the work. I felt the same way planting City on a Hill Church. It was truly a God sized risk and it has truly been a God sized reward that no one can take credit for but God and no one can get glory for but God. The Lord has worked for us and nothing hindered Him from saving us and making us a city within a city reaching out city with the life changing message of Jesus Christ one life at a time. We did nothing according to the “experts” we did everything according to the Bible and faith. I would never risk it all on what a church planting manual says! I would and still will risk it all on what God’s Word and the Holy Spirit says. Some trust in chariots and some trust in horses but at COAH we trust in the name of the Lord our God. In this second year I feel like Jonathan standing on the side of a cliff with an incredible group of armor bearers saying, “It may be that the Lord will work for us, for nothing can hinder the Lord from saving by many or by few.” There are 300,000 people in this city that need Jesus. The odds are overwhelming. 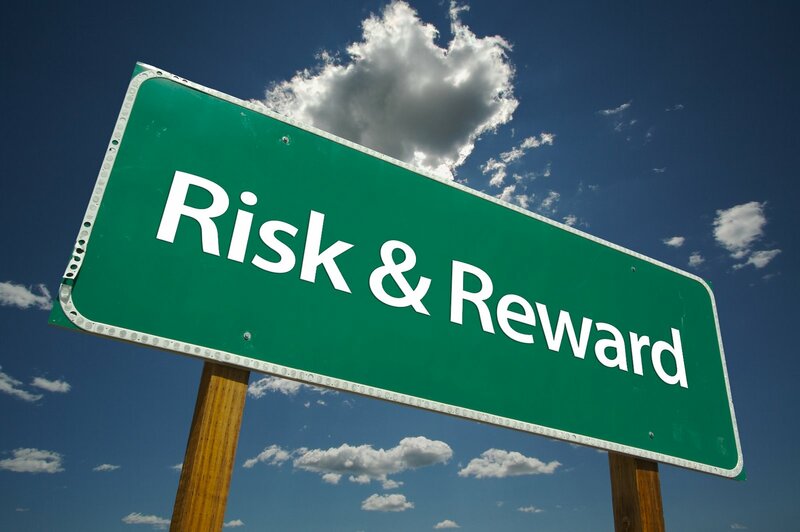 The risk is great but the rewards far outweigh the risk. What price can you put on the human soul? Is there a greater risk and reward we can take? Eternity hangs in the balance. What about our life’s purpose? Isn’t it worth the risk to live the adventure God has designed specifically for you than to arrive at death safely filled with regrets? The reward for living out your God given destiny far outweighs the risk of stepping up and stepping out in faith. After all it may be that the Lord will work for you, for nothing can hinder the Lord from saving by many or by few? Be encouraged!